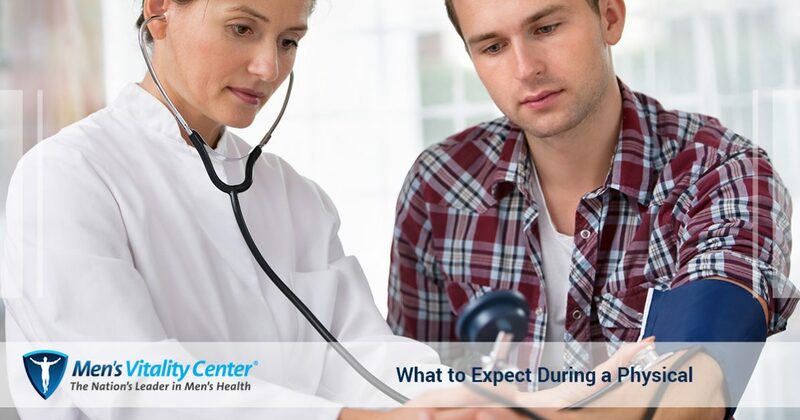 If you’re like most men, you probably don’t schedule physicals as regularly as you should. While they’re easy to put off, physicals are one of the most important preventative health measures you can take. Physicals can help both you and your doctor find ways to improve your health, and they can also provide you with an opportunity to discover and treat problems before they become serious. In this post, we’ll provide you with some information that will be helpful when you’re preparing for your next physical. If you’re looking for a men’s health provider in Glendale, Men’s Vitality Center is here to provide you with the care you deserve. We offer everything from low testosterone replacement therapy to weight loss management. Contact a friendly member of our staff to learn more! When you begin your physical exam, your doctor will probably begin by asking you questions about your health history. If it’s been a while since your last visit, your doctor may have a lengthy list of questions for you. It’s important that you answer the questions honestly, as your answers to these questions will help your doctor determine what to look for during the rest of the physical. Your doctor may also ask you about your family’s health history, and it’s important to do your best to gather information about your family’s health history before you see your doctor. Knowing about diseases that run in your family can give your doctor vital information when he or she is performing the exam. Your doctor will then ask you to remove your clothing in order to examine your body for indications of health issues. Your doctor will assess your mobility and reflexes, and if you are an older patient, your doctor may ask you more specific questions about your mobility. Your vital signs will be taken, and your doctor will also inspect your ears, nose, and throat to ensure that those areas are all functioning properly. 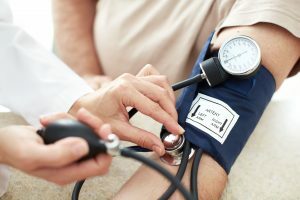 While physicals provide you with the opportunity to learn information about your blood pressure, you should try to have your blood pressure measured at least once each year. Changes in your blood cell count can help your doctor discover disorders and problems that may not be apparent during the physical exam. Your blood glucose levels will be checked, and you will have to fast for eight hours prior to the exam. The most common way to test your thyroid is by measuring your thyroid stimulating hormone (TSH), T4, and T3 levels. Your doctor will typically only test these if he or she suspects that your thyroid levels are low. A cholesterol test primarily measures your HDL (good cholesterol) and LDL (bad cholesterol). Cholesterol tests can help your doctor determine your risk of cardiac arrest, stroke, and other serious health problems. We hope that this information will help when you’re preparing for your next physical exam. To schedule a physical with our men’s health providers, contact our office today!